Wallpaper is usually associated words such as fragility and vulnerability. But vinyl Wallpaper paintable acquire the properties of paint products, but because they are resistant to mechanical stress and light. They can be bonded even in the kitchen or bathroom – places where they will be subject to rapid contamination, wetting and cleaning with detergents. What Wallpaper is resistant to cat claws? - a roller and a brush for applying paint. Select Wallpapers. 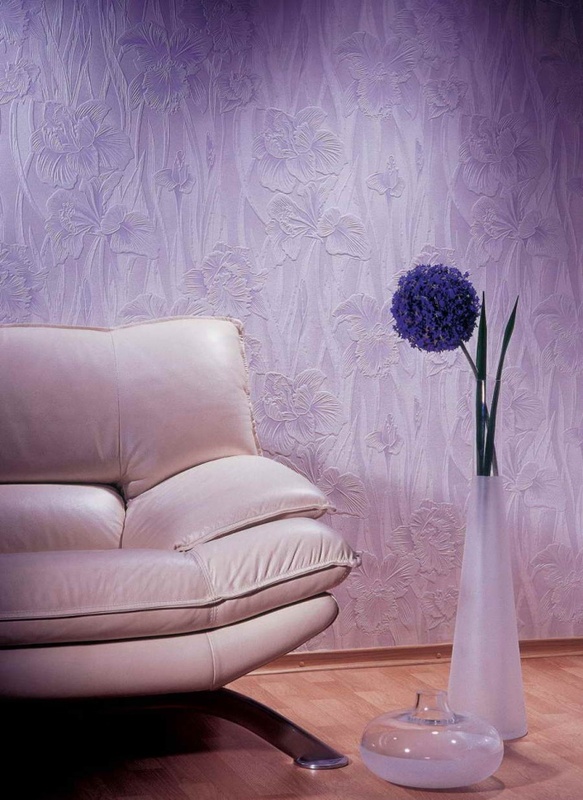 It is best to take vinyl embossed paintable Wallpaper. They usually produce white or pastel colors. It is expected that in the future they will be painted in your chosen shade. Stick Wallpaper on the wall in accordance with the instructions and let them dry (at least a day). Before painting, degrease the surface of the Wallpaper and dust. Now decide on the paint. Vinyl Wallpaper is best suited acrylic latex-based. This paint dries quickly - within 5 hours. And his final appearance acquires three days later. There are several options for painting vinyl Wallpaper. The easiest is to paint the Wallpaper on the external side after gluing. Option # 2 is the staining of the Wallpaper on the inner side before gluing. With this method the Wallpaper will be drawing. Wallpaper paste is necessary only to dry. Apply the paint to the Wallpaper. This should be done with a roller, but if you want to put on the background of any picture, to perform it you need a brush. If the Wallpaper are painting for the first time, it is necessary to paint two coats. Apply first one coat of paint and let it dry one hour. Then you can apply a second coat. Allow paint to dry. Be sure to choose glue for heavy Wallpaper, so they are not left behind. And glue back to back to each other. When you apply the glue, the Wallpaper very much stretched, and when they dry out, it will draw back. As a result, the seams between the webs of the Wallpaper apart, and hide them with paint will be hard. So stick the Wallpaper as close as possible to each other. Vinyl Wallpaper is airtight, which increases the probability of formation of all sorts of fungi and mold, so the adhesive needs to be special, which prevents the growth of microbes. Remember that vinyl Wallpaper will not tolerate extremes of humidity and temperature. Wallpaper should be glued on a perfectly flat surface. Even if you want to get white walls, the Wallpaper must be painted. So they will be resistant to mechanical damage and water. In the future, you can apply new layers of paint of a different color, but it is not recommended more than a decade.